"Very experienced across the spectrum of Chancery law." "Recommended for a wide range of Chancery matters." "He has a strong paperwork practice and is known for his preparation and drafting skills." "A solid commercial and Chancery all-rounder." He undertakes a broad range of business and property work, including contract drafting as well as litigation, and general commercial work such as insurance, construction, IT and e-commerce and professional negligence. His property practice includes property disputes, insolvency, trusts and wills and other general succession matters. He is also experienced working as a junior to QCs and as part of a team on larger or more complex matters. David is qualified as an arbitrator by being a Fellow of the Chartered Institute of Arbitrators and CEDR accredited mediator, and is an experienced advocate both in mediation and arbitration. He has an excellent record of settling cases by ADR. series of successful contempt of court regarding partnership dispute. asbestos insurance case; CA – successful case management appeal, led by Christopher Moger QC and Jeffrey Terry. Also acted in substantial commercial arbitrations which can’t be named for reasons of confidentiality, including as a junior to leading commercial silk Clive Freedman QC in particular regarding biotech contracts, other commercial contracts and partnership disputes. David Hoffman and John Rowe QC (Pearson, 4th edition 2013). Contents includes an introduction to the theory of human rights, the background of the Act and how it came to be passed and the constitutional context so that the discussion is accessible to the student starting on their legal study or the non-lawyer. The book then examines the way in which the Act works in practice, and remedies available under it. The book goes on to discuss the particular rights embodied in the Act, giving each right separate and detailed consideration, drawing upon case law from both the UK and Europe. Finally, the issue of terrorism is considered in more detail bringing current and controversial debate to the fore. ‘The chief glory of [the book] lies in its 12 substantive chapters on specific aspects of private law … David Hoffman gives himself three modest pages at the end to reflect on the book’s contents, expressing the hope as he says ‘that the discussion’ in it ‘can assist’ in the effective reception of the HRA into private law … He should be proud of what he has achieved here: a superb partnership between academics and practitioners, a volume very well presented by Cambridge – and an important contribution to legal understanding of the HRA.’ Conor Gearty, Public Law. 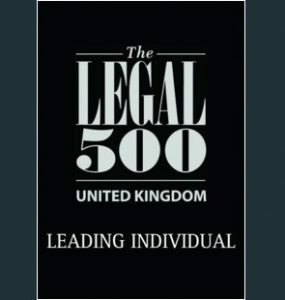 Contents includes a full discussion of the theory and debate on horizontal effect and considers how theory matches up with case law; the limits of the Act for private law; and its impact on key areas including privacy, defamation, negligence, nuisance, property, commercial law and employment. Contains a practical critique of the areas discussed, which will be of academic interest to theorists and of practical benefit to lawyers and judges who wish to understand how the academic debates can be brought to bear in particular cases. Journal of Professional Negligence Bloomsbury Professional JPN (2018) vol 34 p. 52. David has been published in the new issue of the Journal of Professional Negligence with a book review of Professor Jane Wright’s “Tort Law and Human Rights” (2nd edition).